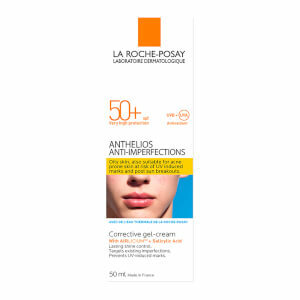 Achieve naturally glowing skin with La Roche-Posay Anthelios Ultra Comfort Tinted BB Cream SPF 50+, a lightweight but effective facial sunscreen for dry and sensitive skin. Providing broad spectrum defence against damaging UVA, UVB and infrared radiation, the tinted moisturiser feels ultra-comfortable on skin and helps to soothe irritation, inflammation and prickly heat. 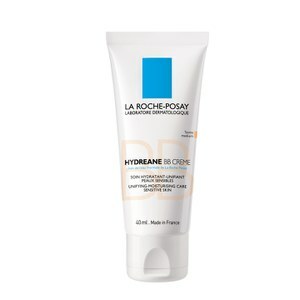 Water-resistant and non-greasy, the sun cream also contains the brand’s exclusive Thermal Spring Water, which is packed with natural ingredients to help replenish hydration and restore radiance for a healthy, protected complexion. 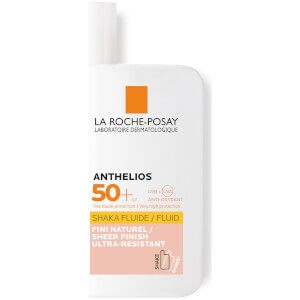 Apply 30 minutes before exposure and reapply frequently and generously every two hours to maintain protection especially after swimming, perspiring or towelling. Shake well before use. Aqua / Water, Diisopropyl Sebacate, Glycerin, Bis-Ethylhexyloxyphenol Methoxyphenyl Triazine, Alcohol Denat., Propanediol, Ethylhexyl Salicylate, Ethylhexyl Triazone, C12 - 22 Alkylacrylate /Hydroxyethylacrylate Copolymer, Drometrizole Trisiloxane, Butyl Methoxydibenzoylmethane, Aluminum Starch Octenylsuccinate, Ci 77891 /Titanium Dioxide, Silica, Tocopherol, Isopropyl Lauroyl Sarcosinate, Acrylates Copolymer, Ammonium Acryloyldimethyltaurate/Vp Copolymer, Caprylyl Glycol, Ci 77491, Ci 77492, Ci 77499 / Iron Oxides, Citric Acid, Disodium Edta, Scutellaria Baicalensis Extract / Scutellaria Baicalensis Root Extract, T-Butyl Alcohol, Terephthalylidene Dicamphor Sulfonic Acid, Triethanolamine, Xanthan Gum, Parfum /Fragrance. (Code F.I.L. : C211249/1). 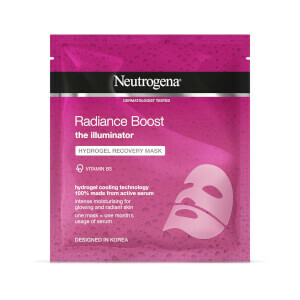 I love this product, feels very light on my skin but still gives some coverage perfect on hot sunny days!